Ever gone to Dim Sum and gotten the dome shaped sticky rice? 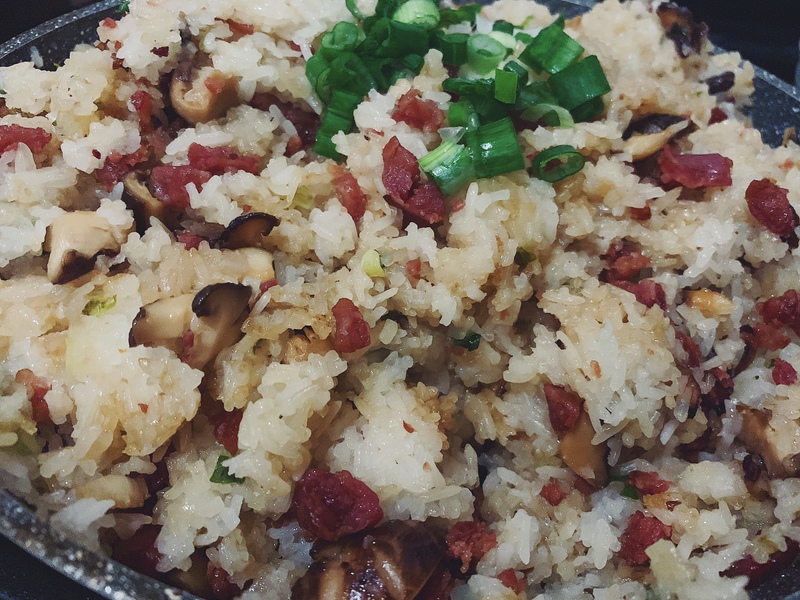 This Chinese Sausage Sticky Rice might be prep work heavy, but if you make a large batch, it can last a few days. 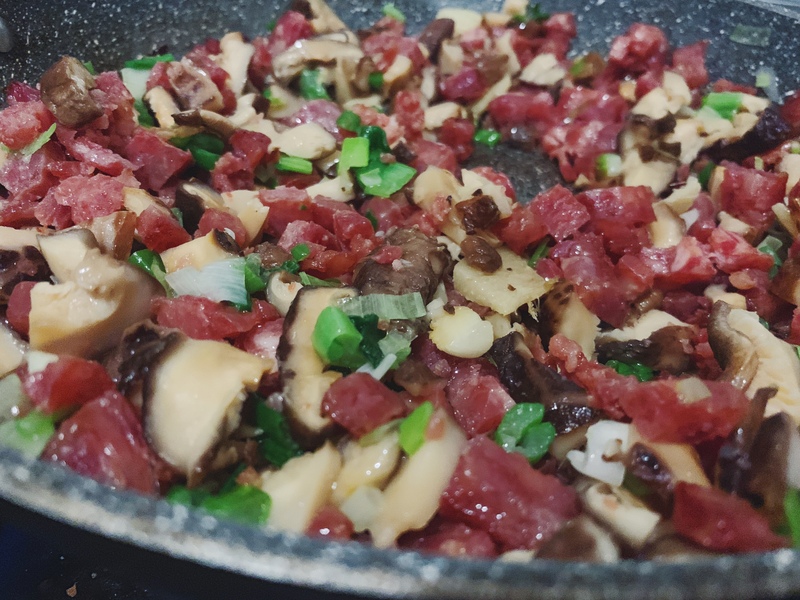 Sometimes you may even see some dried shrimps in the mix of Chinese Sausage. 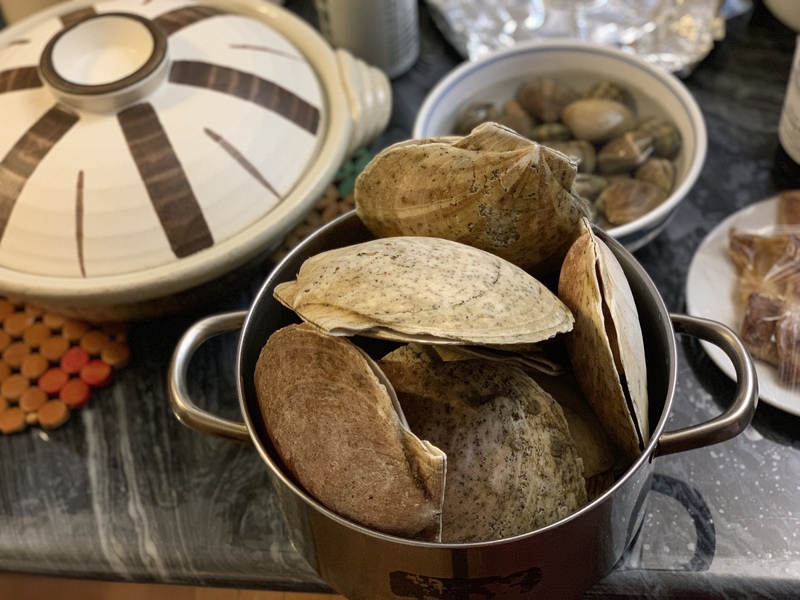 Honestly, I would probably add them in if I had them on hand at home because it will bring out another layer of Unami flavor, but I wouldn’t go out of my way to get it just to add it in. 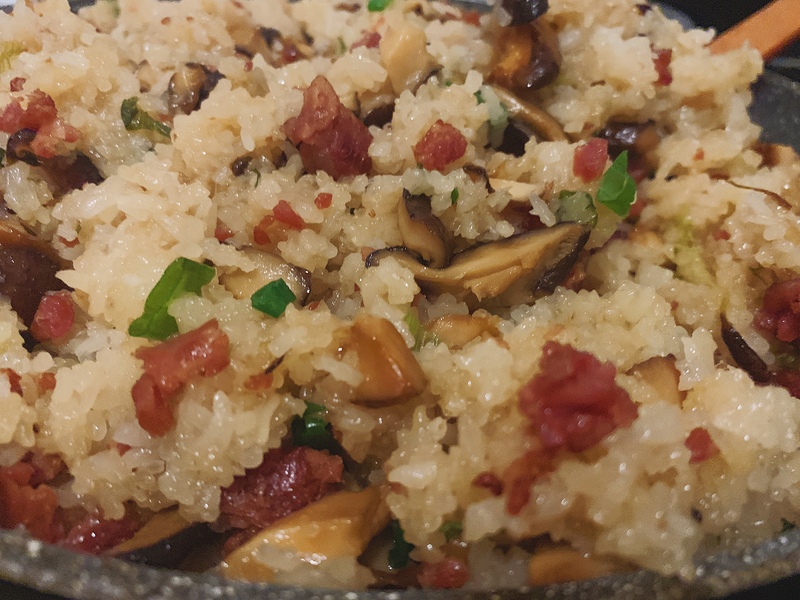 It makes a great potluck or party food because it’s easy to serve with a serving spoon because it’s grains stick together making it easy to scoop and plop onto a plate without having to worry about grains of rice falling all over the place. 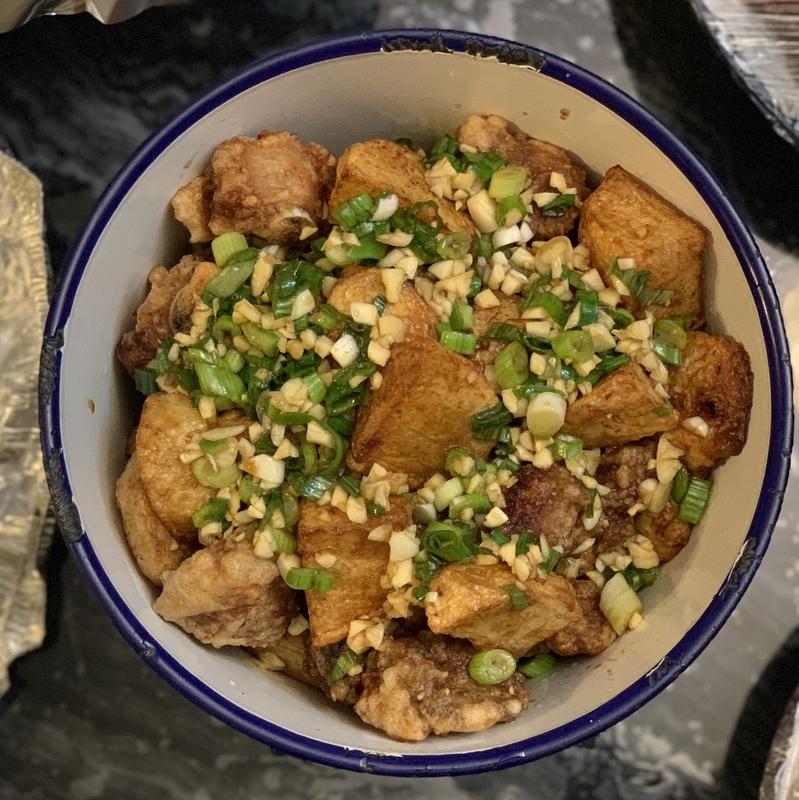 I make this sometimes, even when it’s not a special occasion because the rice is soft and chewy and my kid eat it easier than jasmine grain rice. Somehow it’s easier and satisfying to chew. All the ingredients and flavors soak up so well when you make this dish. 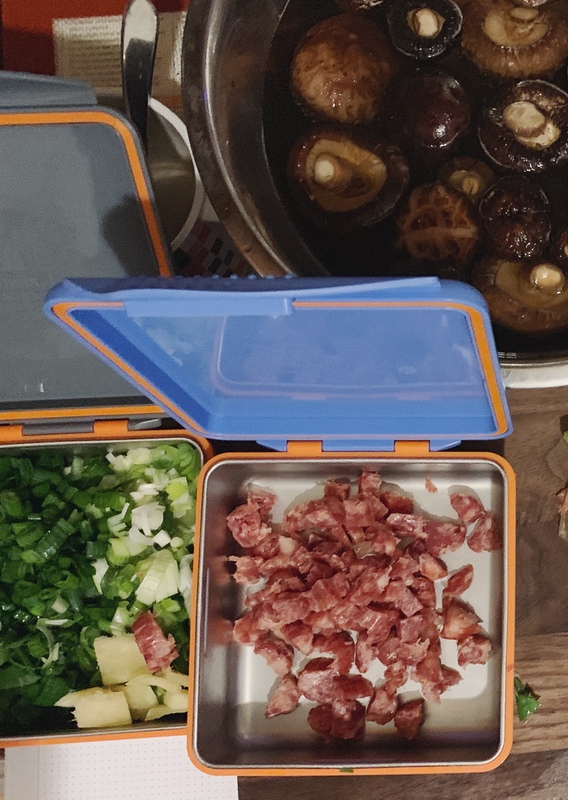 I’ve made Chinese Sausage Sticky Rice many times prior to this, but this time, it came out sticker than usual. 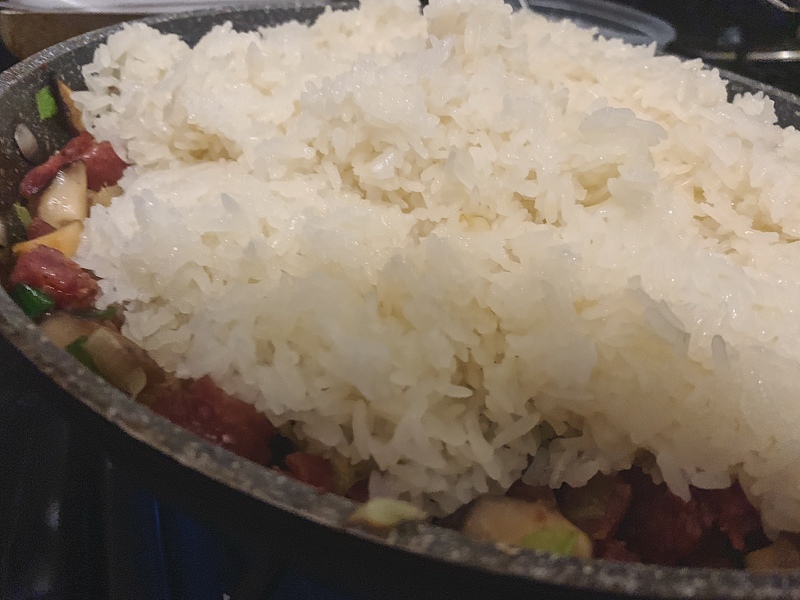 It could be that I steam my rice in the wok, instead of a bamboo steamer, or that I didn’t leave a lot of space in my steaming dish for the rice to fully expand to its liking. Or my pan was just too small, so it took more time and work to mix it. My aunt in my family makes the best Sticky Rice (one of the best chefs in the family) with her addition of cilantro and somehow, how the morsels of her rice stays individual as can be. I may update this recipe next time if I get to “interview” her and n her secrets of Sticky Rice. As per my husband, at least the flavors of both of our sticky rice are both just as good! 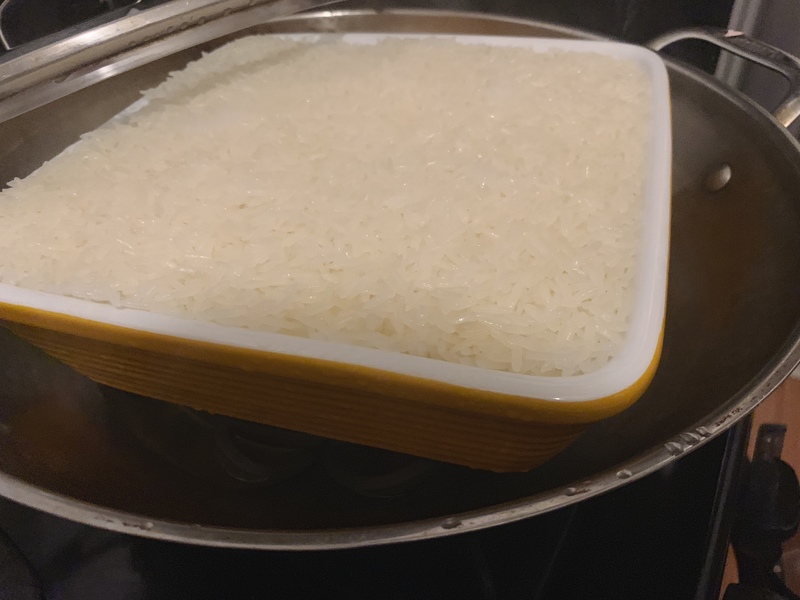 If you have any tips on how to keep the rice from being too sticky, please share in the comments below! 1- Steam the sticky rice according to package instructions. 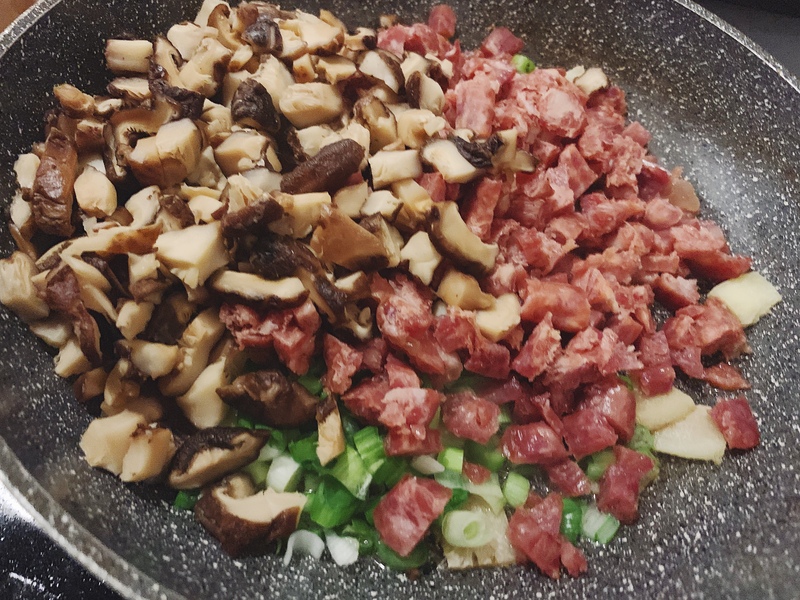 2- Prep all the ingredients that need to be diced: Chinese sausage, mushrooms, scallion, slivers of ginger. 3- Add some oil to the pan and sear the ginger slices. 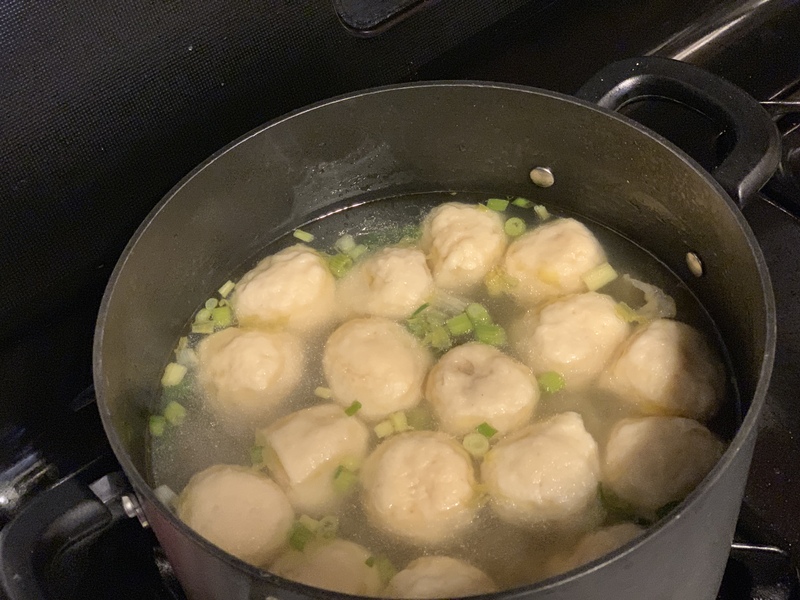 4- Add in all the items prepped in step 2 (RESERVE about a handful of the green parts of the scallions to mix in at the end) and cook for 4-7 minutes. 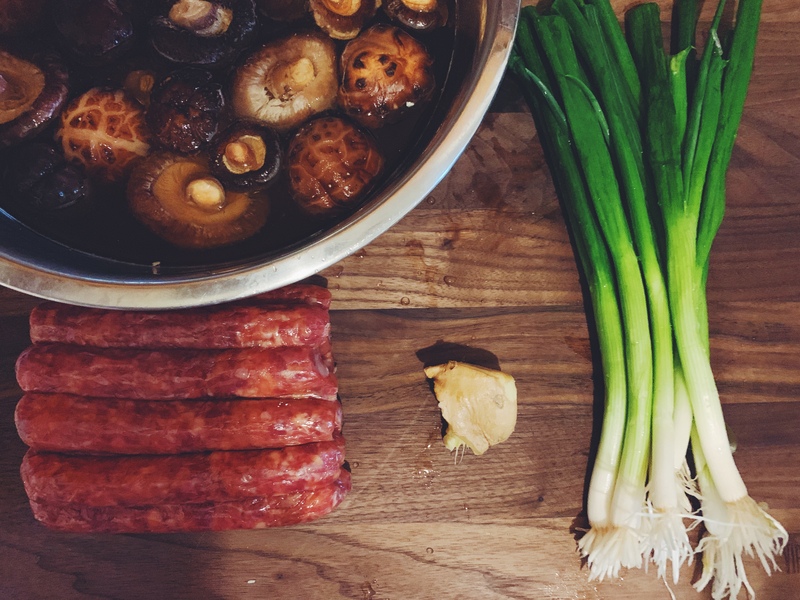 5- Plop the rice on top of the sausage, mushroom, scallion mixture and let it sit for 2 minutes. 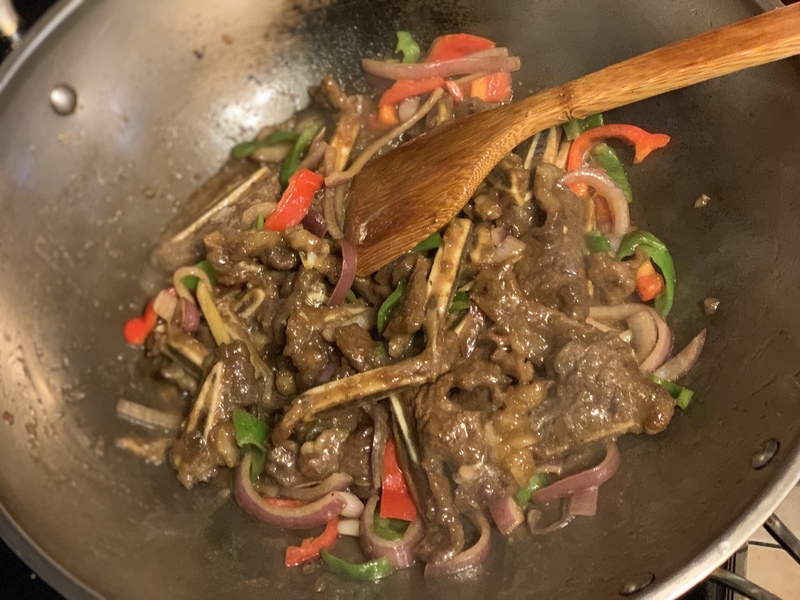 7- Add all the sauce (you can have this premixed so you can just dump it all in at the same time if you wish- instead of measure it one at a time). Add the 1/2 cup of water (or more to loosen it up). 8- Continue mixing and that’s it! 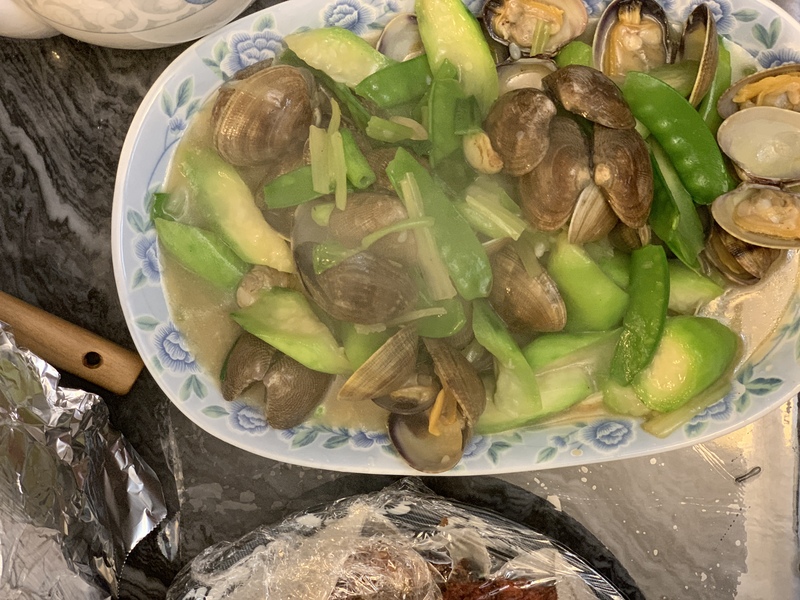 Add a little more oyster sauce to mix into the rice if you’d like it a little saltier. Happy Lunar New Year to everyone that celebrates! 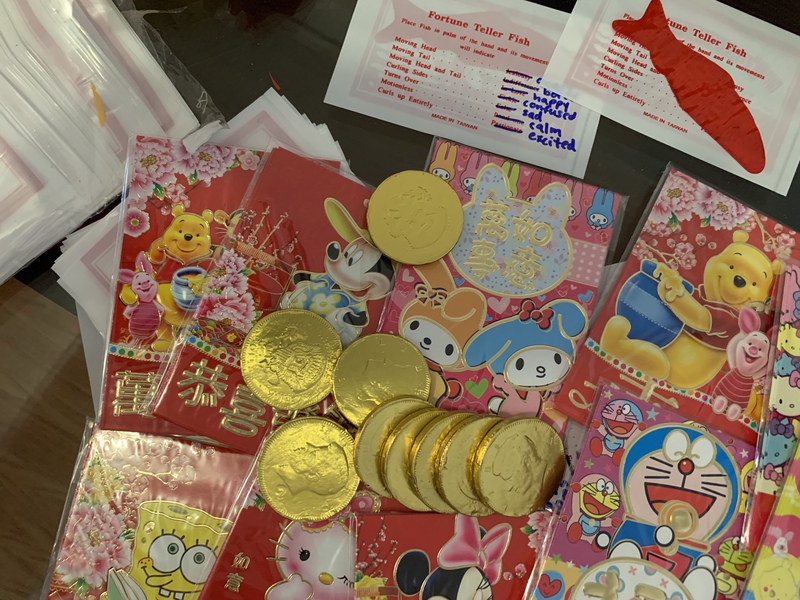 Even if you don’t celebrate, Happy Lunar New Year to you too. I feel a great part of being human is to have the capacity to empathize, relate and to respect others who are different, yet the same as you. Even if I didn’t celebrate a certain holiday, and I knew a friend celebrated it, I wouldn’t think twice to wish them happiness in what they celebrate. 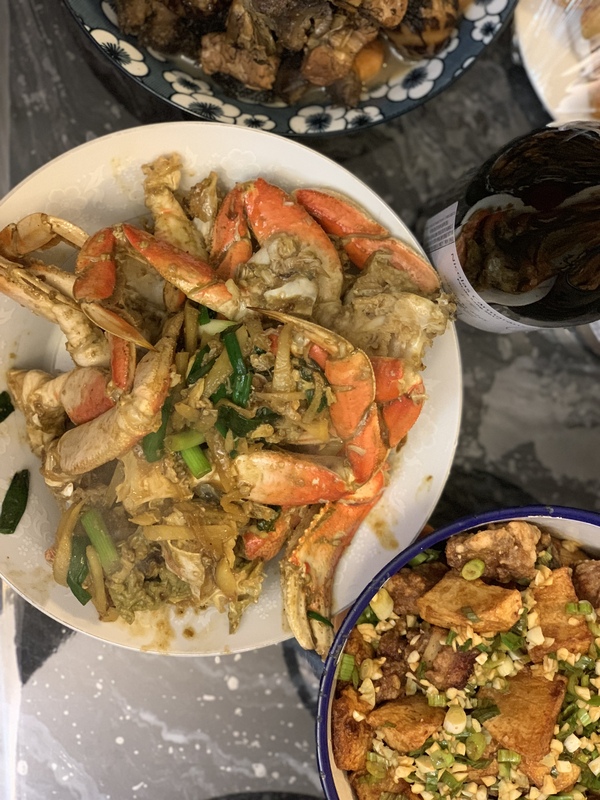 What’s beautiful about Chinese New Year for my family, is that it’s a time when all the adults, tired as adulting can be, still come through 100% to prepare dishes that are meaningful and symbolic in representing family togetherness. Here’s some of the food my father prepped this year! Thanks for stopping by! I would love to learn about you and if there’s a New Years Day you share, different from the one celebrated in America on January 1st? 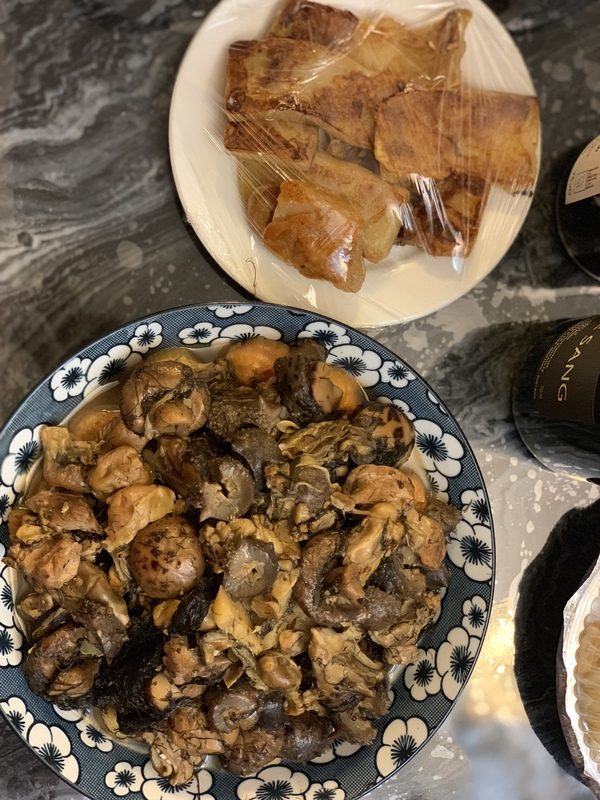 And, if you do celebrate Lunar New Year , what’s the favorite dish you look forward to every year?